This time of year, a lot of folks are getting ready for road trips. Some of them have RVs already, some are buying them new, and there are some smart shoppers who are buying something recently used, hoping for a bargain. It’s been very common since the mid-2000s to put satellite dishes on RVs. After all, the great outdoors is fun but sometimes you just want to settle in for an evening’s entertainment. It’s only been the last few years that streaming’s even been possible while on the road and for many people it’s still expensive. A satellite dish is the best way to get the whole world of entertainment. So, chances are that used RV you bought has a satellite dish on it. Is it even worth turning on? I answered the question at the top of the article, so let’s look at the reasons behind my one-word answer. There are several kinds of mobile dishes. Some aim automatically based on your telling them where you are. Others are so fancy that they aim continuously so you can get satellite TV while driving. Still others are just basically home-based dishes with some levers that let you do the aiming from inside the RV. No matter what you have up there, it probably still works. Mobile RV dishes are built tough, that’s for sure. If that dish looks like it’s in one piece, it probably is. Even if it looks like it’s missing a part or two, the replacement parts aren’t that expensive. Both DIRECTV and DISH are still out there, obviously. You’ve heard rumors — even on this site — that DIRECTV is discontinuing standard definition service this year. Those rumors are true. However there’s still some life left to DIRECTV’s 101 satellites, the ones used by in-motion dishes. Even if you activate now, you’ll continue to get some level of programming as far as we know now. DISH continues to be strong and almost every mobile dish designed for DISH service will still work. 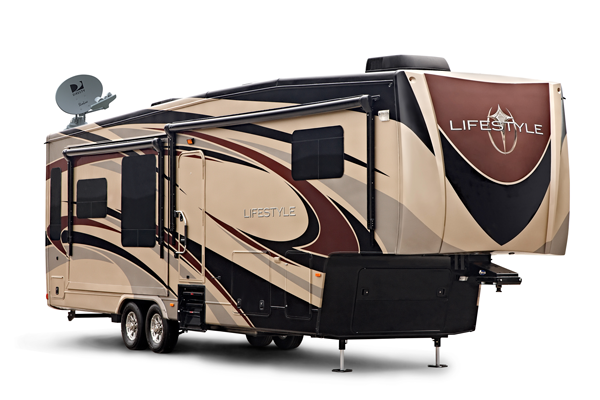 They also have flexible plans for RVers. The nice thing is that you have two excellent choices here and it’s very likely that they dish you have on your RV will let you make whichever choice you want. Satellite beats streaming in so many ways. You get so much more live entertainment and you get it all for one price with no data charges. Even with an unlimited plan you might not get full HD service and you’re relying on congested cell towers near RV parks. There’s every chance that you’ll be able to stream smoothly… but there’s every chance you won’t. With satellite TV service you just need to worry about a clear view of the southern sky and that’s it. Satellite has the most programming you’ll find, and all the shows you want to watch. If you do pair it with a mobile hotspot, you’ll get on-demand as well. Unfortunately you won’t get local channels in most cases if you’re out of your local market, but you can add an antenna for that if it’s important. If you’re not sure what to do even after reading this article, why not call the experts? You can get a ton of free advice from a satellite professional simply by calling 866.726.4182 during east coast business hours. We have techs on staff who can help you figure out what model dish you have, whether it still works, and what you’ll need in order to get set up! We take care of everything and all the advice and support is free! If it’s after business hours, fill out the form below and we’ll get back to you as soon as we can. Why deprive yourself of a world of entertainment? Should you mount your dish on the eave or on the roof?